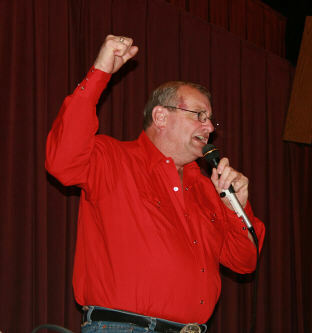 Also known as "Big Enis", Wes frequently performs with "Little Enis" (Kenny Jarvis). Wes Dyer took Square Dance Lessons in 1972 in Louisville, KY. Upon graduation he was interested in how the caller put this Square Dance puzzle together, so he asked several callers in the area what you had to do to become a caller and in 1973 he was in a callers class. Wes has taken and instructed multiple caller classes, seminars and caller workshops. Wes has also recorded square dance records on Eagle, Marlet, Lou Mac, Enis, and Desert labels. Wes has called in 46 states, 4 countries and also called for 9 cruises. Wes has also been the feature caller at many state festivals as well as four Singles National Conventions. Wes is a member of the American Callers Association and is licensed thru ASCAP and BMI and calls all levels through A2. His goal is that everyone including himself has fun during the dance.